Did the Japanese invent Shared Space Streets? The shared space (or 'naked streets') approach to street design was developed in the Netherlands right? The late Hans Monderman was the pioneering hero who extended it to some surprisingly busy roads and intersections, correct? And it has been popularised and applied in the UK and elsewhere by Ben Hamilton-Baillie, hasn't it? Or did shared space emerge in Japan? It could be said that Tokyo led the way, as most of its roads follow the shared-space principle, although they were not purposefully designed to reduce accidents. Near Fukuoka airport and a subway station. Near Tokyo University and Ueno in central Tokyo. In Nishitokyo City, Tokyo. With a mamachari ('mother bicycle') and kids right on cue to demonstrate the high level of subjective safety here. Also in Nishitokyo, with another mamachari. OK. Let me retreat a little. I don't really want to take any credit away from Hans Monderman and the other pioneers of today's efforts on Shared Space. Their projects are much more ambitious than these Japanese examples. They extend "public realm" much further into what used to be "traffic space". 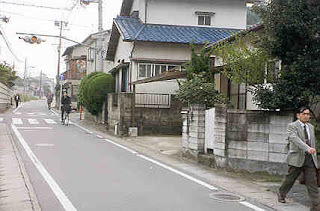 The side streets of Tokyo and other Japanese cities are not such a challenge to mainstream traffic engineering practice precisely because they are side streets. 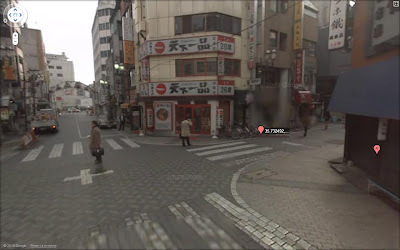 Still, it seems a little rough that Hamilton-Baillie fails to mention such Japanese shared space in a June 2010 paper for City Planning Review (pdf), published by the City Planning Institute of Japan. 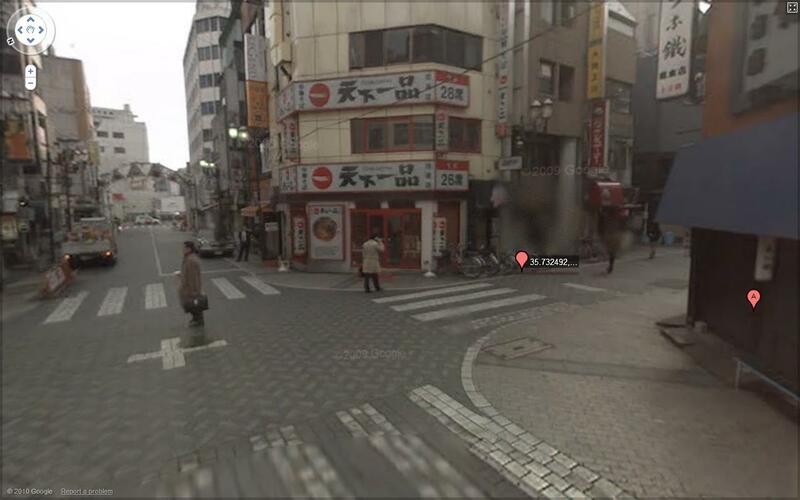 I suspect Japan deserves a bit more recognition for its little shared-space streets. What do you think? Are Japanese urban planners, designers and transport planners proud of their side streets? Are they really as successful and safe as they appear to be? Have they been carefully evaluated and researched in Japan? If you want to see more, try this location then click into street view and explore a little in a shopping district near Ikebukuro station. I think the Italians invented shared space streets - have you seen Urbino in Le Marche? I am happy to send you a photo. @Jonathan I am sure you are right, in the sense that medieval streets everywhere were (and often still are) shared spaces. So point taken. But notice that these Japanese streets are in many cases relatively modern. Some of them are outside the older (pre-war) 23 Wards area of Tokyo. Thanks for the comment and best wishes with your cyclized blogging. Don't get too excited about Shared Space. I've yet to meet anyone here in the Netherlands who is enthusiastic about it. In fact, there is much criticism of it due to it having lead to a reduction in safety, and especially subjective safety, for cyclists vs. drivers. Thankfully, there are very few busy shared space areas, and I'm not aware of any more which are planned. Many villages always were like this, of course, and many still are. @David Hembrow: Thanks for the comment and for pointing us to your interesting post. Very thought provoking. I wonder if it would be possible to design streets and intersections to get the best of both worlds? In other words, would it be possible to make sure motorists don't feel too secure in their right-of-way but still make vulnerable road users feel high subjective safety? In fact, I wonder if even standard Dutch street designs achieve something like that at every intersection, precisely because of the high number of bicycles sailing through? Paul: In residential streets, cars are excluded except for access. They very rarely allow through traffic. This is an example. Older residential streets which were initially designed as through streets are no longer through streets. And cyclists are generally separated at junctions too. Here are some examples of road junctions. And here you'll find a video showing what it is like to cycle along a newly renovated street in the Netherlands. You'll see how the junctions work. There's no "sailing through" and just hoping that motorists don't run into you. Cyclists have separate phases at the traffic lights. In the smallest streets in the centre of the city, it's a one way system (for cars but not for bikes) designed to make sure you can't go anywhere by car and can't use those streets for through journeys by car. This works much as in residential areas. Very very few cars are seen as people only go there if they need to.